This year is flying by, I can’t believe it is November tomorrow. I’ve started to bring out my Autumnal makeup and wearing warmer shades over the last few weeks. 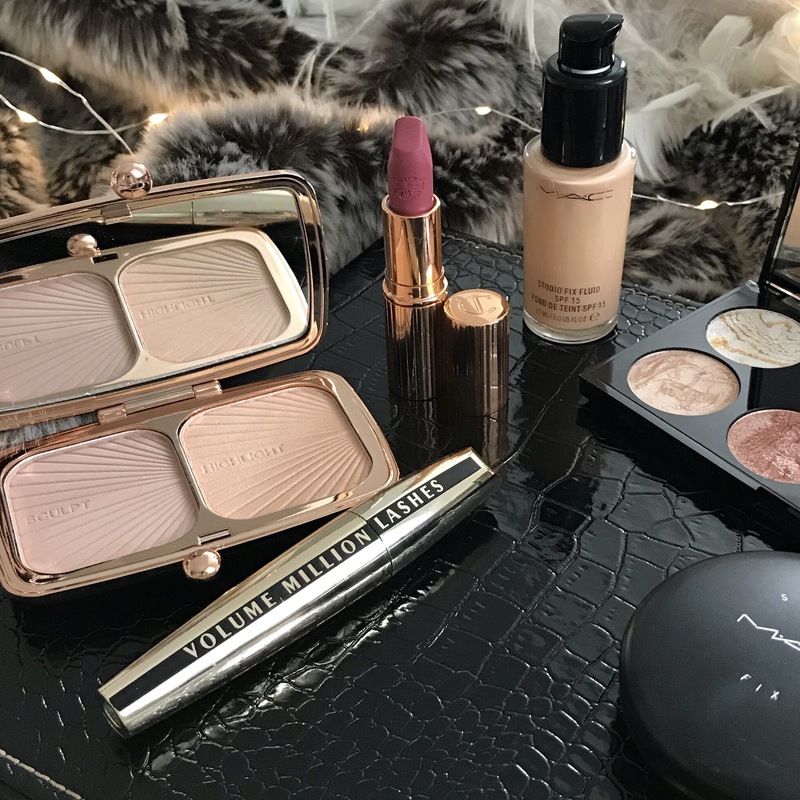 My skin is always worse during the winter so I have been wearing a fuller coverage foundation and powder and I find the MAC studio fix is one of my favourites. This foundation and powder combo will last me all day which is perfect for the colder & windy months. I have been using this Makeup Revolution glow palette which has a light bronzer and highlighter and is really good for any time of the year. They both are quite subtle so if it is a weekend I normally go over the top with my Makeup Revolution golden sugar palette which I LOVE. I am currently on the hunt for a warm eye shadow palette so if you have any recommendations let me know in the comments below. The mascara I love at the moment is the L’Oreal volume million lashes which I featured in yesterday’s blog post – L’Oreal Favourites. I have such a long list of favourite lipsticks which I will put all together in a post for you. My Charlotte Tilbury Secret Salma is what I am wearing pretty much every day at the moment, it’s such a pretty deep pink which I originally bought for summer but I think it works now were transitioning into Autumn. What are your go to makeup looks for Autumn? Let me know in the comments below. The gold sugar palette is GORGEOUS, I keep seeing it everywhere, I have to get my hands on it! Loved reading this lovely- your photos are amazing too! I’m such a sucker for the deep pink colors! Also, your photo set up is so stunning, thank you for sharing this with us! 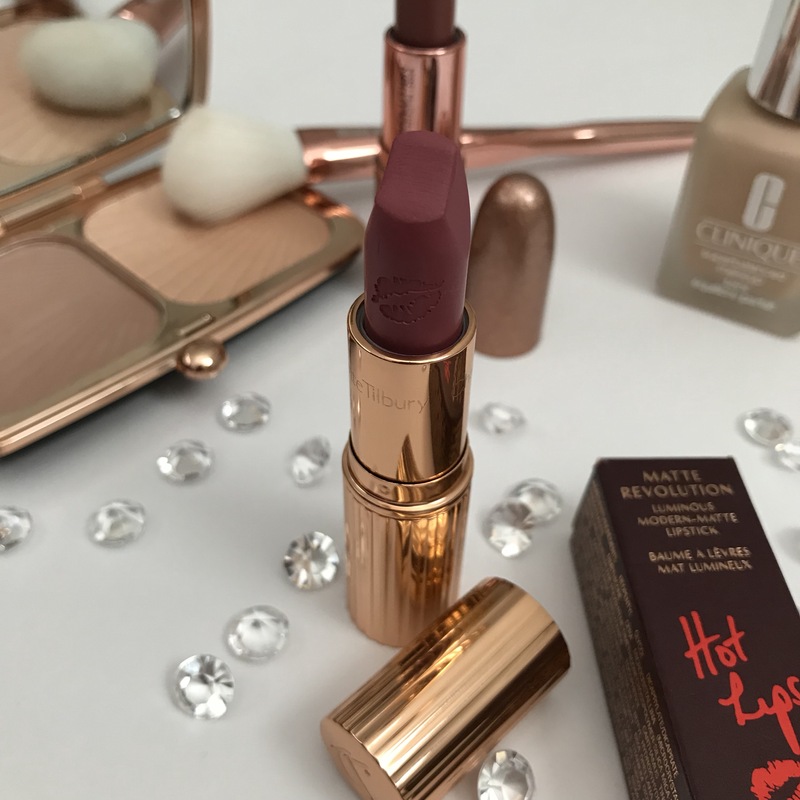 I need that Charlotte Tilbury lipstick in my life! I am obsessed with the Hepburn Honey shade but definitely want to try something with a bit more pink in it to brighten up my autumn wardrobe. Do you wear it with any of the lip glosses over the top?